At RGB cleaning services, pests will be a thing of the past! We are fully accredited in ‘Textile pest control’ and are licensed to eradicate a range of pests, including: lice, fleas, bed bugs, mites, dust mites, beetles and flies. The process guarantees a thorough, deep cleanse which will remove all unwanted pests and decontaminate all materials and fabrics affected. 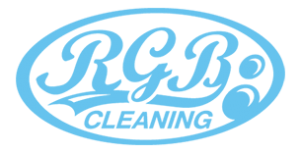 At RGB cleaning, we have an expert knowledge of the entire decontamination process, from spotting the signs of unwanted pests; understanding the life cycles and conditions in which these pests thrive – and, most importantly, having a clear action plan to eradicate the pests and ensuring that they do not return. We pride ourselves on the thoroughness of our service, and can guarantee our commitment through every stage of the decontamination process. We understand that each pest contamination is different – thus we are well practiced at dealing with different scenarios. We know that eradicating pests is not always a quick and easy job – and clients can be assured that – if a pest problem is particularly severe – then we will undertake the necessary number of return visits until you are completely happy that the area is fully decontaminated.